Today, I’m happy to introduce my talented writing buddy, Jeanne Bannon, who has a new book! Lev Baronovsky, a soulless creature of the night, has a problem. Carly, the love of his life has just died in an accident and in three days will pass to the other side. Without a soul, he cannot cross over with her and the thought of spending eternity without his beloved is unbearable. Is seventy-two hours enough time to find a way? Taking her delicate hand in his, Lev noticed a monitor clipped on an index finger. It seemed it measured her pulse and heartbeat. He noticed too that her heart was beating slowly, though he didn’t need a monitor for that. He heard its throb, and it made him think of a dying battery. However, relief settled on him as he realized he was the first to arrive after the accident that had left her comatose. Carly’s family was nowhere near yet. It would take hours for them to get here from the other coast. He had time, plenty of it. Stealthily, Lev glanced into the hallway from his perch in the darkened hospital room. The occasional nurse strode past, but it was late, or perhaps the better term was early. In the wee hours of the morning, there would be fewer staff than during the day. With a sigh, he took Carly in. Her blonde hair was matted and dirty, even though it looked as if someone had tried to clean her up, perhaps finger combing her thick mane and tucking it behind her head. Her face was still perfect. Not a single scratch had sullied her beauty. A knot twisted in his belly. Why hadn’t he known? He could have saved her if only he’d known. But even Lev couldn’t know everything. It was his brother, Alexei, who’d given him the news moments ago. He hadn’t asked the how, the why, the when. Alexei had dropped his mental barriers. Lev felt them fall like a drawbridge. His brother had let him in. It was easier than speaking—Lev was able to glean whatever information he needed in an instant. But with the simple facts of Carly’s accident came the realization his brother was happy for the turmoil. A hint of a smile had curled Alexei’s full lips, and his eyes were bright. Lev was not surprised. Moving close, he whispered, “I can save you.” He brought her dainty wrist to his lips. She smelled like death already—like the musk of freshly turned earth. It was now or never. His fangs pricked at her delicate skin, drawing a bead of crimson. It tasted of iron and copper and of her. Carly’s very essence was in that droplet. He stopped himself, knowing she wouldn’t want him to go through with it. They’d talked about it many times, about the possibility of him turning her, so they could be together, not for just the blink of an eye that was a human lifetime but for eternity. She would be furious if he turned her, and he wouldn’t blame her. Lev knew the pain and sorrow of being changed into a monster against one’s will. But at least she would still exist. We could still be together. He shook off that small, but oh so inviting thought. No, he would not make a monster of her. With a flick of his tongue, he licked the droplet away. A shudder of pleasure shot through him, and as he pushed her wrist to his mouth, like a child ready to bite into a ripe peach, the monitor blared a warning. He dropped her arm. Panic filled him. Carly’s pulse rose and fell suddenly. The stagnant tone of a heart that was no longer beating blared from the machine, stabbing sharply in his ears, but the growing silence of blood no longer pulsing through veins and arteries seemed louder. Hesitation had cost him. His compassion, as his brother would say, was his one true downfall. Two nurses and a doctor were in the room now, buzzing frantically around Carly. Lev had disappeared through the pane of the window unseen and watched from outside where the moonless sky hid him. His jacket flapped in a breeze that also tousled his long black hair. It whipped and slapped against his cheeks. It was said creatures like him could feel no pain. That they existed only as predators—takers of life—but Lev’s world had just crumbled. If he had a beating heart, it would be broken in two. Tears welled in his eyes, and he longed to let them fall. No, more than that, he wanted to scream, wanted to rip his cold dead heart from his chest and stomp on it. Lev gathered himself as best he could, pinching the tears from his eyes and staring up to the heavens, but there would be no help for him there. For Lev Baranovsky, there was no God, only this perpetual hell he lived in. Love may come for him again in time, though he wasn’t sure he wanted it to. Would he ever get over losing his precious Carly? The vicious cycle of love and heartbreak was enough to drive him mad. He should go now. Carly was gone. There was nothing he could do. Even though his brother would be at home, he needed the comfort of his own space to grieve. He looked down at the ground two stories below, and when he peered back up for one last glimpse of his beloved, his brows lifted and his dark eyes grew to the size of poker chips. Carly was dead, but she wasn’t gone. I've worked in the publishing industry for over twenty years, first as a freelance journalist, then as an in-house editor for LexisNexis Canada. I currently work as a freelance editor and writer and am represented by Karen Thomas of the Serendipity Literary Agency. My debut novel, Invisible, a young adult paranormal romance, has recently been optioned for film. Invisible is an Amazon bestseller both domestically and internationally and continues to receive wonderful reviews. Currently, I'm finishing up work on Dark Angel, a paranormal thriller. Care to try out Jeanne's new book? 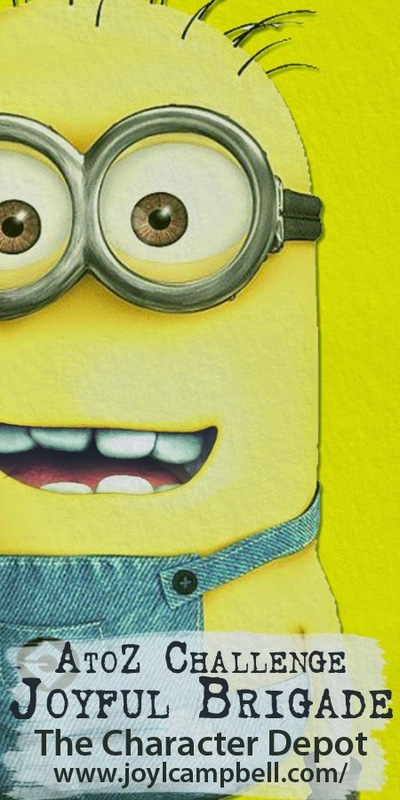 The Blogging from A-Z Challenge is five and a half weeks away and yours truly needs some minions. I think I have to get cracking with asking people individually otherwise I’ll be stuck when April steps in. So far, on my team, I have Michelle Wallace, Sheena Kay Graham and P. V. Ariel. If you think you’ll have the time and you’re reliable, hit me up with a comment or email. My minion badge is off to the side. Fine looking Minion badge you have there. Hope you find a few more Minions. 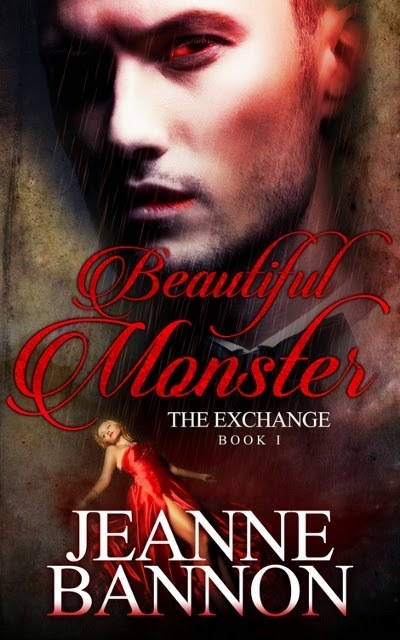 Jeanne's cover is incredible. Lee lured me in as a minion already or I would help. WOW...optioned for film! That's awesome!! Hi DL, thank you. Stilling waiting though. It's a long process. Thanks so much for visiting!, Yup, I'm loving that badge, Alex. I can't even begin to imagine what it would be like to have someone talk to me about a film option. So exciting! I hope it hits the big time, Jeanne! No problem, Jeanne. Anything for you! I'm so tempted! I'd like to be a minion, but I will probably be out of town and away from computers for the first week of April (I know--it's going to make A to Z more challenging! ), so I probably had better not! Would not be fun to live eternity without your beloved. Hard decision for Lev. Joy; I am not participating in A-Z; in fact I plan on a month long blog break. Love the minion badge you have chosen! The book sounds like one Hannah Bug and I need to read. Jeanne is a great writer! I haven't read this book, but I have read some of her other work. That she is, Carol. Thanks for coming by.